National Heroes Day is a public holiday in the Turks and Caicos Islands celebrated on the last Monday in May each year. It commemorates the first (and so far only) national hero of this British Overseas Territory, J. A. G. S. McCartney. James Alexander George Smith McCartney (also known as J. A. G. S. McCartney or Jags McCartney) was born on June 30, 1945. In 1975, he founded the People's Democratic Movement, a grassroots organization aimed primarily at achieving self-determination for the people of the colony. 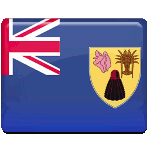 In 1976, the United Kingdom granted the Turks and Caicos Islands self-government. J. A. G. S. McCartney became the first Chief Minister at the age of 31. He still remains one of the youngest democratically elected leaders in history. McCartney held the position until his death in a plane crash on May 9, 1980. To honor his memory and to celebrate his achievements, the territory's government established a public holiday, National Heroes Day.